The Brimstone butterfly (Gonepterix rhamni) has the longest lifetime of the adult butterflies: 9-10 months. 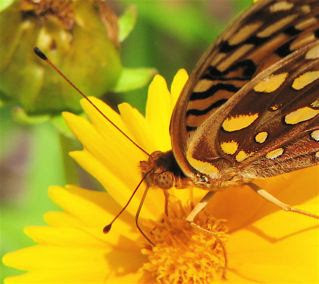 Many butterflies can taste with their feet to find out whether the leaf they sit on is good to lay eggs on for their caterpillars' food source. Source: The Butterfly Site which has information on gardening, biology, rearing, monarchs, links and more.